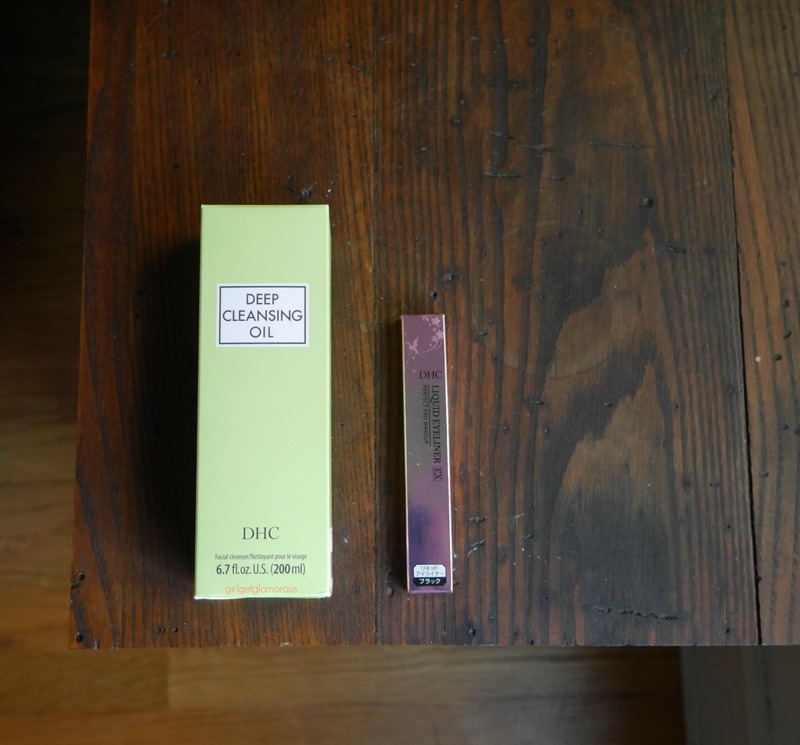 If you’ve been reading the blog for a while, you’ve probably heard me wax poetic about DHC’s Deep Cleansing Oil. It was the first product I ever tried from their line and completely hooked me on their skin products. I won’t go on and on, if you want more scoop you can check out this original post on the cleanser, this post, this video, and my 2016 products of the year. DHC is launching a year-long special for new customers. If you purchase a Deep Cleansing Oil, you’ll get a Liquid Liner EX for free. Which made me dig deeper into their liquid liner. It doesn’t run when you apply it. It also doesn’t smudge and lasts all day. I am impressed. The only thing I wish was that it came in brown, bronze, and plum! The black is rich and beautiful, I just want more options. It retails for $20 for a .01 full size tube. Here is the new customer offer link to get a liner for free! ALSO: I’m very excited to announce a giveaway of both products! Yeah, yeah, yeah!! Sign up below to win a full size Deep Cleansing Oil (literally my most favorite face wash and makeup remover on earth) and this awesome liquid liner. There will be one winner picked and DHC will reach out to you to send you your prize! While you are on the DHC site, I highly recommend checking out the DHC Eyebrow Perfect Pro set. You can purchase each part separately, or buy a combo pencil and add on the powder. It’s a super fast and natural looking brow set and I love it. You can fill in sparse areas and define the edges of your brow with the pencil and then fill in the brows SO quickly with the powder end (the powder is in the cap!). I love both shades – they are super natural looking! If you want to know what else I love from DHC, you can check out this post on all my skincare favorites. Including some products that I’ve used for 13+ years!! Thank you for prize, I love the cleansing oil and eyeliner! Thank you, I’m so happy to hear that!! I’m really glad you are enjoying them!